Hunting is an interesting experience. However, once you get into it, and you start noticing that regular hunting might be a bit boring, the next thing to try for many is night time hunting. Night time hunting is a whole new perspective. Deer are also more active in during the dawn and dusk periods. Night time hunting requires different gear in order to get things going. For example, you can’t use your regular rifle scope and pair of binoculars. Instead, you need a pair of night vision binoculars. They are vastly different from a regular pair of binoculars, as there’s a lot more technology within. Therefore, they also tend to be a bit pricier as well. Another thing is that once you get to actually choosing a pair, there are a lot of choices. Simply looking at night vision binoculars reviews won’t cut it, especially if it’s your first pair. There are a lot of variables to consider, and making a mistake on any of them can be a costly mistake. You’ll want the best night vision binoculars for your money that fit your requirements and needs. Night vision binoculars reviews might tell you which pairs are worth it. What they won’t do is tell you which things you should be investing your money in. Well, we’re here to help. Below you will find two things. 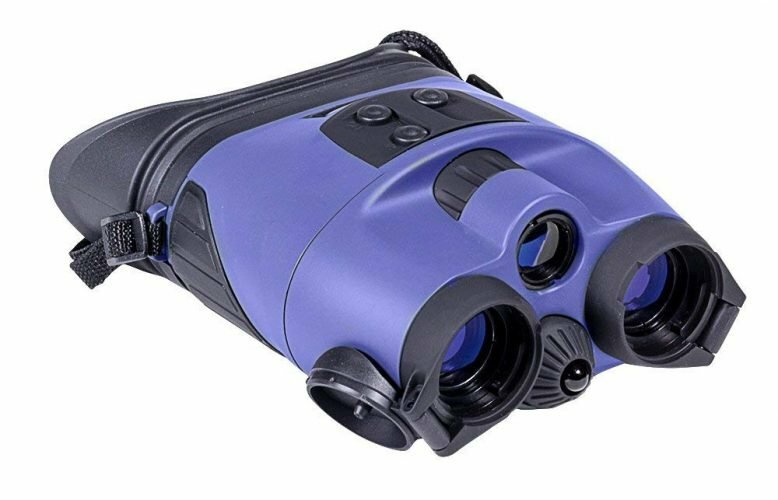 First, you will find night vision binoculars reviews for ten of the best night vision binoculars on the market today. From budget-oriented to higher end ones, there’s something for everybody. If it isn’t the first time you’re buying, you might immediately know which ones to get. If it is, however, there’s also a buyers’ guide below. Within that buyers’ guide, we’ll explain what each of the specifications means, as well as which ones are more important. Even if you have never looked at night vision binoculars before, once you’re done the reading you will be able to choose an appropriate pair for your needs. Without wasting any more time, let’s get to it! We’re starting things off with a pair of Gen 1 night vision binoculars. However, they have an incredibly complete feature set. From the build quality to the optics and performance, everything is thought of. Even though there are plenty of cheaper night vision binoculars, we found that the Explorer Pro actually does a lot of things that they don’t, making it very compelling, even at a higher price range. Let’s take a look at the details, and see whether it’s worth considering it. We’ll kick things off with the design. It’s the top model in Night Owl’s night vision binoculars range, but the design style is similar to all the others. It doesn’t look so flashy. Instead, it focuses on durability and functionality and makes for a comfortable experience. The entire body has a soft touch, rubberized finish. This allows for a good grip, even if your hands aren’t dry. 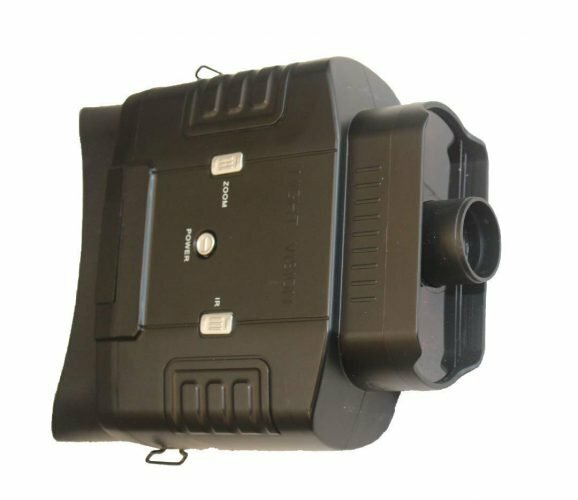 The lens housings are made from molded thermoplastic, which is impact resistant. We’ll talk about the importance of good build quality, but you should know that they’re built very well. You’ll also find that all the buttons are located on the top, which gives you easy access. The central focusing knob is also within easy reach. It’s smooth and accurate, just as you want it. A single downside here is the weight. But with the optics’ quality, this is unavoidable. In terms of features, the Explorer Pro has everything one could expect from a Gen 1 device. As its name suggests, it has a 5 times magnification. This will get you fairly close to your subject, without the risk of spooking it. There is also a 50mm lens diameter, to ensure enough light gets in. Thanks to the metal oxides and fluorides coating, you will get crisp, clear images. Those additions also ensure that you get little to no reflections on the glass surface of the multi-element glass optics. They also increase light transmission quite a bit. To make sure that any ambient light available is used effectively, there are two image intensifier tubes. This delivers incredible nighttime performance. A welcome addition is also the built-in infrared illuminators. They will give you decent vision, even in pitch black conditions. Night Owl promises a 237-yard range of view. This is, however, a Gen 1 device, so take this with a grain of salt. Regardless, with or without the IR illuminator, you do get a decent range. Even though this is shaping up to be a great product, not everything is perfect. The first potential problem is battery. It makes use of CR123 batteries, which aren’t included. The battery life is less than stellar, too, with competitive products managing to continue running for much longer. As we mentioned, weight is also a potential issue. The optics do justify this but compare it to something like the Yukon Tracker, and you’ll notice a huge difference. Last but not least, there’s no tripod mount on the night vision binoculars. There’s no support for a tripod mount either, so you’re basically stuck using them handheld. At the end of the day, the binoculars are far from perfect. Being a Gen 1 device, they’re limited in terms of quality, and some might find the weight too much for such a product. On the other hand, if these are things you can look past, this might be the best night vision binoculars option for you. If you need something that’s built well and covers all the basics well, you’ve got yourself a winner. 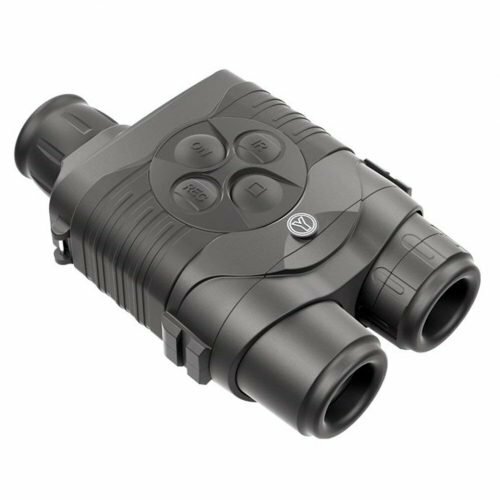 At more or less the same price as the Night Owl Explorer Pro, we have the Bushnell LYNX. Bushnell is a very well-known name, especially in the world of sport optics. They have a whole range of binoculars, and everything they make is well made. The LYNX does have a reputation to live up to, but does it manage to? Let’s find out. To begin with, the build quality is excellent. Just as we’d expect from Bushnell, we have quality materials that have been extensively tested. The whole device is very lightweight. It is also completely covered with anti-slip rubber, meaning it won’t be slipping out of your hands anytime soon. Unlike the Explorer Pro above, the LYNX gives you two ways of getting it out of your hands. You can either attach it to a head strap, or you can mount it on a tripod. If you’ll be out for longer periods of time, both are a welcome addition. As we’d expect from Bushnell, it is both weather and water resistant. Using it in any kind of conditions is a non-issue. The LYNX has half the magnification of the Explorer Pro. With both being Gen 1 devices, we would rather have the Bushnell. The 2.5x magnification can make much better use of the technology since 5x can get a bit far. 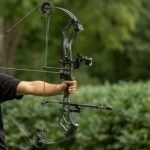 Bushnell promises 90 yards viewing range, which is in line with what you can expect from a Gen 1. There’s a 40mm objective lens diameter, which, combined with the magnification, gives you a 94-degree field of view. It comes with an IR illuminator, but unlike with other Gen 1 devices, this one can be switched off. Having it on all the time makes you visible to anyone else using a night vision device, so this is actually very useful. 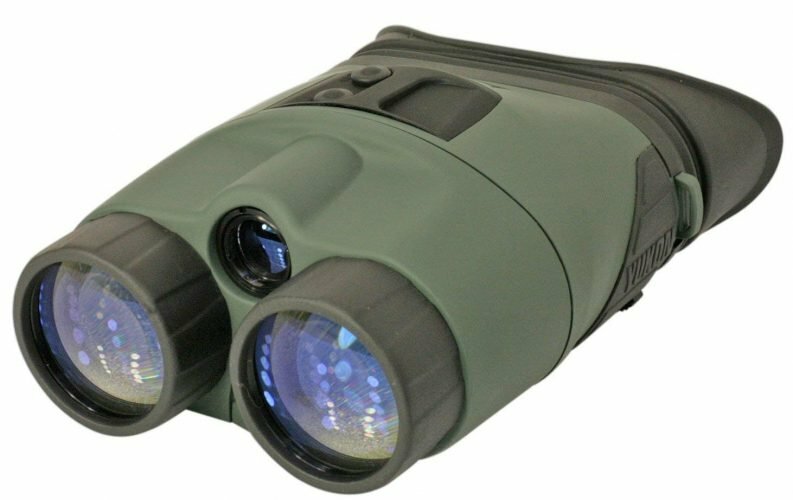 To make things even better, the glass lens is coated with an anti-reflection coating, which greatly improves the efficiency of the night vision binoculars. Battery life is excellent. If you use the IR illuminator, you’ll get around 20 hours. Switch it off, however, and you’re looking at impressive 70-hour battery life. The power comes from two AAA batteries, which are very common, so you can carry a few spares with you as well. As we mentioned, no device is perfect, and neither is the LYNX. It’s plagued by a common problem with Gen 1 devices, the fact that you can’t use it during daylight. Higher end devices often have a way to protect the tubes from strong light sources. However, exposing the LYNX to such a source can damage the IIT permanently. All things considered, the LYNX is a great pair of night vision binoculars. If you don’t need crazy magnification or the highest possible image quality, it will more than do the job. As a bonus, you get Bushnell’s reputation behind it, as well as excellent build quality and great optical performance. It might not be suitable for everyone, but those who need such a device will be hard pressed to find a better one. Next, on our list, we have a brand that some might not have heard about. We’re talking about X-Vision, a brand that strives for the highest possible quality, on a budget. If you’re a budget-oriented individual, you’ll find that they do have some compelling offers. Sure, their quality doesn’t stack up to the Bushnells, or other similarly priced night vision binoculars. But that isn’t the point either. Are their night vision binoculars worth the asking price? We think they are, but read on and see for yourselves. To begin with, there are two options with the X-Vision binoculars. You get to choose between the Pro and the Deluxe. The only discernible differences are the range, luminance, and power consumption. According to the manufacturer, the range of the Pro is up to 300 yards at night and 440 yards during the day. The Deluxe, on the other hand, goes up to 350 yards at night and 500 yards during the day. The Deluxe has a total of 2W with the IR illuminator, while the Pro has only 1W. However, the Deluxe also consumes 2.5W with the IR LED on, while the Pro only consumes 1.5W. Given that they both use 8 AA batteries as a power supply, the Pro should last quite a bit longer. Also, given the price difference, we’d say that the Pro is a much more compelling offer. Now that we have the differences aside, let’s talk about what’s identical – the performance and the build quality. To begin with, you will find an f/1.4 aperture. This should let in plenty of light, and there’s an IR LED illuminator to make things a bit brighter. However, this is still a budget-oriented pair of night vision binoculars, so you should be reasonable with your expectations. The claims of 300 or 350 yards of range are a bit overstated, which is to be expected. For the price, though, could you complain? You also have the choice between 1x and 2x zoom, which comes in handy. 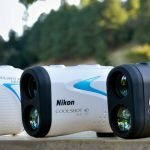 There is the ability to take pictures and video with these night vision binoculars, but the quality will be questionable. In terms of build quality, they’re decent. You can’t mount them on a head bracket, but there’s a neck strap included. They’re comfortable to hold and have a rubberized anti-slip finish. We wouldn’t push them in terms of water or weather resistance, though. Chances are this is where corners were cut to keep the price low, so you will want to be careful. The electronic viewfinder might get damaged, leaving you with a useless pair of night vision binoculars. To wrap things up, even if you are limited by your budget, there are much better options. Sure, these might be the best night vision binoculars under $200, for the Pro model, but do you really want them? Their night performance leaves a lot to be desired, and the build quality is just average. We would advise that you save up some more, and get a better pair – there are plenty of choices. On the topic of better options, we have the Firefield Tracker LT. Compared to the previous pair of night vision binoculars we had on our list, this one is much better, even if it costs a bit more. You’ll get much better image quality, as well as waterproofing and overall better build quality. It’s basically an improvement in all possible areas where the X-Vision fell short, and it comes from a brand that’s a touch more reputable as well. For starters, the binoculars come in a 2x24mm configuration. Since you won’t be mounting them on a headgear (there is no mount), the 2x magnification is great. You can easily see what’s happening a bit further from you, with a detection range of around 130 yards. Considering this is a Gen 1 night vision device, this is to be expected. The 24mm lens diameter lets in enough light for the IIT to do its job, and there’s an additional 805nm IR illuminator. If you’re using the IR illuminator, you can expect around 20 hours of battery life. Without it, the battery life extends to an impressive 72 hours. The field of view is 25 degrees, which is fairly wide. If you want to look at something that is close, the minimum focus distance of 1 yard is impressive. On the outside, you get a well-built pair of binoculars. They’re made of ABS plastic, and they’re rubberized at the contact points, so they don’t slip out of your hands. The operating buttons are all at the top, easily reachable, and the central focus knob is smooth and precise. Unfortunately, there is no tripod mount on the Firefield Tracker LT. This might be a dealbreaker for people who want to use them for an extended period of time. In terms of weather resistance, you get an IP66 waterproof build. We wouldn’t recommend that you submerge them completely, but getting caught out in the rain shouldn’t be too much of an issue. The eye relief is 12mm, which is enough even for people who want to use the night vision binoculars with glasses. We’ll be honest, the Firefield Tracker LT isn’t perfect. You can’t mount it on anything, which means you need to hold them in your hand all the time. At 1.3 lbs., this shouldn’t be too much of an issue, though. The IP rating could’ve been better and the build quality leaves a bit to be desired. On the other hand, if you’re after a somewhat budget-oriented pair of night vision binoculars, these might be a good fit. They aren’t incredible, but they’re far from bad, and they do cover all the basics fairly well. Perfect for people who are just getting into the night vision world! Yukon is another name that is well known for its balance of price to performance. They may not offer the highest end optics on the market, and they might not make the best night vision binoculars, period. But they also cost much less than their competition, while still offering quite a bit. Today we’re looking at the Tracker 3×42, the largest of the Tracker family. This is a no-fuss quality pair of night vision binoculars. Even though it might not have any smart features such as video or photo recording, or outputs for that matter, it covers the basics extremely well. One thing that sticks out like a sore thumb is the magnification. Many people would consider 3x magnification to be too much for a Gen 1 device. However, the Yukon Tracker also has a detection range of 165 yards, so the magnification is well justified. To add a bit more light and make things look brighter and better, you have a 42mm objective lens. In case that doesn’t cut it, there’s an 805nm infrared illuminator. The IR illuminator actually emits a pulsing frequency, which prolongs the battery life, resulting in a 10-hour battery life on a single battery. The magnification and lens combination results in a 20-degree field of view, which is decent. If you’d rather use the binoculars for looking at something that is close to you, the 1-yard minimum focusing distance should do the job. On the outside, you get an excellent build. The whole body is made of plastic, but there are key areas that are rubberized. The Tracker won’t slip out of your hands that easily, and they give you a bit of shock resistance as well. Unfortunately, there’s no mention of water or weather resistance, and we couldn’t find any in other night vision binoculars reviews, so you’re better off keeping it protected in your backpack in the case of rain. There is a 12mm eye relief, enough for people who wear sunglasses. If you’d rather leave them at home, or in your backpack, there is a +-4 diopter adjustment option. Another thing you don’t see very often is the Eclipse lens cover system. The flip up covers are clipped back against the body, putting them out of the way, and without the possibility of being lost. You’ll find a central focusing knob that’s smooth and precise and does an admirable job. If you’re after a high-end pair of binoculars, the Yukon Tracker lacks a thing or two. Weather and water resistance is a must, and you’ll want to be able to mount it on a headgear. But if you can look past these things in favor of the asking price, you’re looking at an excellent pair of night vision binoculars. The optics are excellent, the build quality is stellar, and you also get fully multi-coated optics – not something you see every day. For people who want to get the best night vision binoculars without spending thousands of dollars, this might be an excellent buy. Another Bushnell on our list, this time we’re taking a look at the Equinox Z 4×50. It’s a touch cheaper than the Lynx we spoke about earlier but still manages to bring Bushnell’s trademark quality to the table. 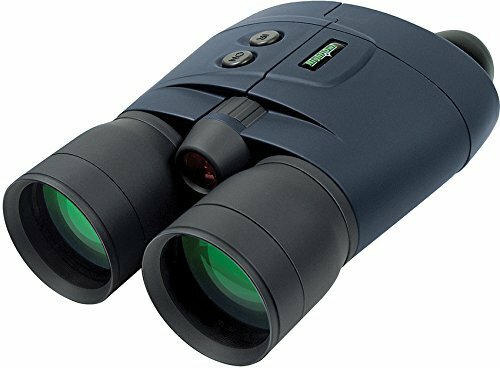 It’s very well made, covers all the basics extremely well, and is a great no-fuss pair of night vision binoculars for just about everyone. If you’re looking for something that has decent magnification, yet maintains the image quality that you expect from it, read on. The Equinox Z night vision binoculars might be a perfect fit. If you look at the numbers, you’ll notice a 4x magnification and a 50mm objective lens diameter. 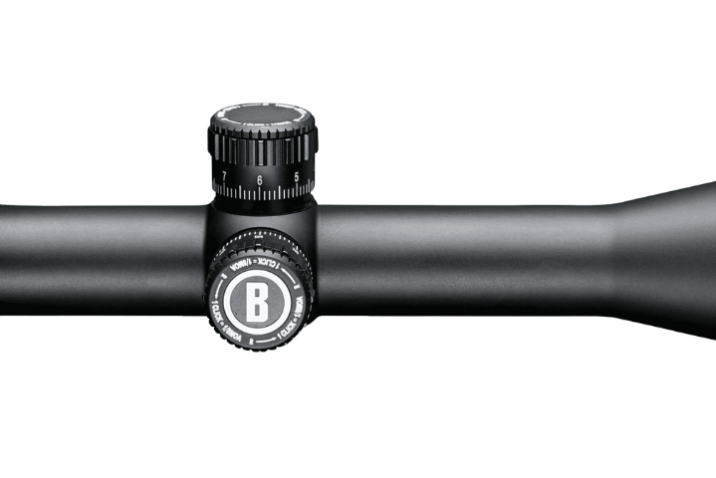 Bushnell promises a range of 250 yards, meaning you can take advantage of the magnification factor. The 50mm lens is big enough for plenty of light to enter the binoculars. Sure, there’s a built-in IR illuminator as well, so even when there isn’t that much light, you’ll still get a usable image. One more thing to note is that you can use the Equinox Z during the day. The IIT is turned off, and you basically have a 4×50 pair of binoculars. If you were after a versatile pair of night vision binoculars, this is an excellent thing. There are also smart features included, in the form of image and video capture. If you’re the kind of person that likes to review their experience afterward or brag to their friends, this might come in handy. The images and video are stored on a micro SD card you’ll need to provide, and there’s a video output as well. On the outside, the build quality is nothing less than what we’d expect from Bushnell. 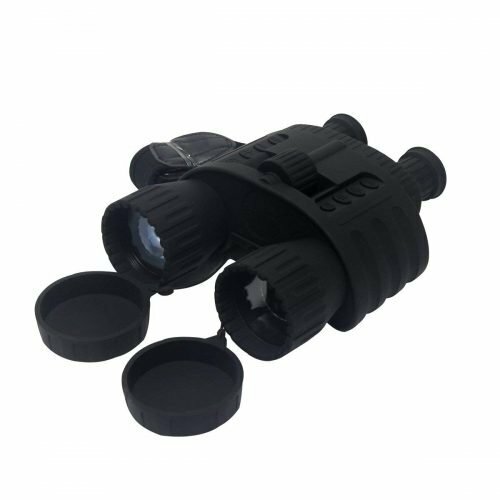 The binoculars are sturdy and stiff and are completely rubberized. This ensures both a good grip and shock resistance. The housing is water resistant, with an IPX4 rating. This should keep the binoculars protected in case you get caught out in the rain, but not much more. All the buttons are located on the top, with the brightness and IR button on the left, and the digital zoom and record buttons on the right side. You will also find a tripod mount at the bottom. Next to the micro SD card slot is a mini USB port for transferring data, as well as the TV out we mentioned, and a switch that changes between photo and video recording. The Equinox Z isn’t for people who want as much bang for the buck as possible. You will be paying somewhat of a premium for the name. However, you’re getting a product that lives up to Bushnell’s reputation in terms of quality and durability, which does say quite a bit. It certainly covers all the basics extremely well and does come with a few extras you won’t find in other devices. If optical performance and build quality are your top priorities, and you don’t mind paying a bit extra for them, you should certainly give the Equinox Z 4×50 a chance. 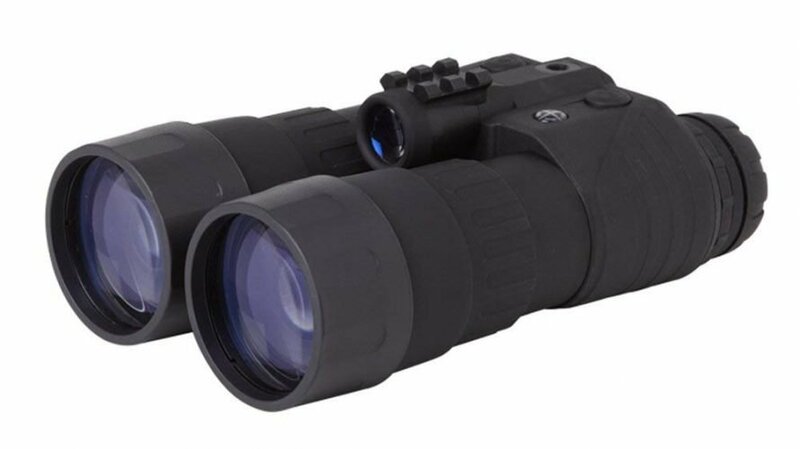 We spoke about various models in the above night vision binoculars reviews, but there is one category we have yet to cover – variable magnification night vision binoculars. That’s exactly what we have here, and it’s made by a fairly reputable brand, Yukon. They’ve been in the sports optics game for a while, and they have some really great models. What we’ll be taking a look at is the Yukon Signal N340, which is a pair of night vision binoculars with quite a few smart features. It’s priced like a midrange device, but how does it perform? To begin with, you can choose between two magnification factors, 4.5x or 9x. This gives you plenty of versatility but considering it’s a Gen 1 device, it might not be too usable at the longer end of the range. The claimed effective range of recognition is a touch over 300 yards, and we’ve found that to be somewhat accurate. Towards the end, you will notice the severe quality loss, but it is still usable. A downside with that magnification is that you have a minimum focusing distance of 5.5 yards. If you want to use it for objects that are close by, it might not be the best solution. In terms of build quality, the Signal N340 RT is built fairly well. It has a rubberized grip, and the buttons are well placed, on the top. You can easily activate any of the built-in functionalities without looking. Unfortunately, there is no mention of water, or weather resistance, which might be a downside to some. If you often get caught out in foul weather, the Signal might not be the best pair of night vision binoculars to have with you. You will also find a Weaver mounting rail, which lets you attach extra accessories to it, such as a more powerful IR illuminator. Last but not least, there’s a micro USB port on the outside. It lets you charge the Signal using a power bank if you run out of juice. Let’s discuss the smart features for a moment. The first thing to know is that there is a CMOS sensor with a resolution of 640×480 inside. That will let you capture photos, as well as videos, on a micro SD card. The card is not included, you’ll have to supply one yourself, with a maximum capacity of 8GB. You can record images with a resolution of up to 1280×960, or videos up to 640×480. An 8GB memory card should fit around 40 minutes of video. You also get the Stream Vision app. Available for Android and iOS, it lets you stream what you’re looking at via your smartphone. You’ll also be able to use your smartphone as an additional remote control, too. These things can come in handy if you want to review or share your experience. If you take everything into consideration, there’s plenty to love about the Signal. It doesn’t cost too much, is made by a reputable brand, and has a couple of smart features that you won’t find anywhere else. However, it’s far from perfect. The image quality leaves a lot to be desired, and the build quality isn’t particularly great. If these two things are compromises you can afford to make, you might have a great pair of night vision binoculars here. Solomark is another brand that focuses on the budget-oriented consumer. Their products often come with a lot of features and bring you better performance than you’d expect at those price points. A perfect example of this is their night vision binoculars. 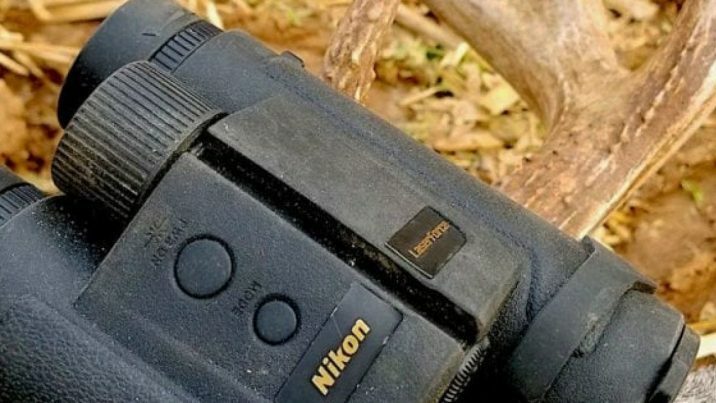 With a good optical clarity, decent build and a host of smart features, this might be a very versatile tool for the night time hunter who doesn’t want to spend all of their money on equipment. To begin with, there’s a 3.5-7 times magnification. If you’re using it to look at objects that aren’t further than around 100 yards, you should be good. Further, than that, there is noticeable image quality loss. Even though the advertised range is over 400 yards, you’ll want to stay closer than this. The 850nm IR illuminator does make things look good, but it can only do so much. Aside from the optical magnification, there’s a 2x digital zoom as well. Note that with digital zoom, you’ll lose sharpness and clarity, as you’re basically cropping the image. Everything you’re looking at is displayed on a 4” wide screen, with a resolution of 320×240. Colors are good, and everything looks good on the display. You will find a couple of smart features. The first one is the capability of recording photos and videos. The resolution is limited to 640×480 for videos and 5MP for photos, and the videos can only go up to 30 frames per second. Both the pictures and the videos are stored on a micro SD card that you need to provide. Unlike the Yukon above, the Solomark accepts up to 32GB of storage. Everything can be easily transferred to a computer via the USB port so you can review or share afterward. Build quality is decent, but nothing impressive if we’re being honest. The body is made of plastic, and it’s rubberized at the contact points. All the buttons are neatly laid out at the top, for easy access. You won’t find it difficult to adjust to them after the first few times of using the binoculars. There’s no mention of weather and water resistance. Given all the electronics inside, you might want to keep them away from foul weather. Power comes from 8 AA batteries, which is a downside. However, you must consider all the smart features – they do require a lot of power after all, and this explains the requirements. All things considered, this could be seen as a cheaper version of the Yukon Signal RT. But for the difference in price, you get a much better build from the Yukon, as well as better optical performance. If, however, you still want all the smart features, but don’t want to spend that much, you should be good with the Solomark. Even though a bit pricey, you will find that Sightmark’s products are often some of the best ones in their respective products. Consequently, the Ghost Hunter 2×24 is a strong contender for the title of best night vision binoculars. But just how good are they? 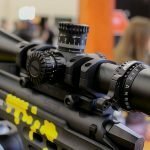 Do they live up to the reputation set by other Sightmark products? We found that they do, and are an excellent piece of optics. Read on and see whether they fit the bill for your requirements and needs. To begin with, we have a 2×24 configuration. With this being a Gen 1 device, two times magnification is perfect. Sightmark were accurate in their claims of a maximum detection range of 131 yards, and you also get a 132 feet field of view at 100 yards. Inside is an EP33-U tube and an S25 multi-alkaline photocathode with a useful diameter of 24mm. The resulting resolution of the night vision tech is 36 lp/mm, which is respectable, to say the least. You’ll also find an 805nm IR illuminator with an intensity of 75mW. Battery life is 20 hours with the IR illuminator on or 72 hours without it. That power comes from two AAA batteries, making it very convenient to carry a few spares with you. If there’s a bit of natural light, you won’t need the illuminator, though, as the optics are excellent. On the outside, we’re looking at a glass filled nylon composite body. It is IPX3 weatherproof, which should keep it safe in case you get caught out in the rain, but not much more than that. It’s usable in temperatures from -4 to 104 degrees Fahrenheit, and it weighs less than a pound, 0.88 lbs, to be exact. The ergonomics of the night vision binoculars are excellent, and the buttons are placed on the top for easy operation. There’s a 5 to -5 diopter adjustment, and the minimum focus distance is 1 foot. You can easily use the Ghost Hunter for objects that are close by. There’s one thing to be said about the Ghost Hunter. If you’re a person who appreciates plenty of smart features, such as video or photo recording, and advanced functionalities, you won’t find any of that here. Instead, you will find excellent optics, admirable build quality, and the reputation of a brand name with years of experience in the field. If all of this is something you think is worth it to you, the asking price is certainly not out of reach, and this can very well be your one and only pair of night vision binoculars. 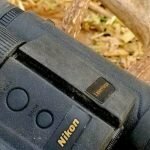 To wrap up our list of night vision binoculars reviews, we have a pair that focuses on extras, instead of the basic functionality. It is extremely budget-oriented, yet manages to cover a lot of the necessities for a good pair of night vision binoculars. We’re talking about UBOWAY’s WG-80 night vision binoculars. 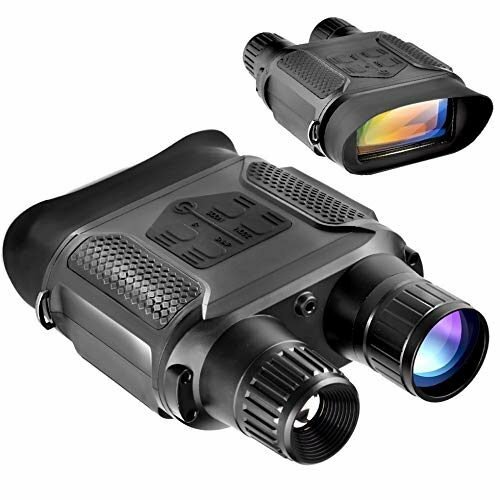 In a 4×50 configuration, and with plenty of smart features, this pair of optics is an excellent choice for many people who are just getting into the night vision hunting game. If you’re looking at buying your first pair of night vision binoculars, make sure you read on through the end, as this may very well be one of your best options. The first thing we’ll talk about is the optics. 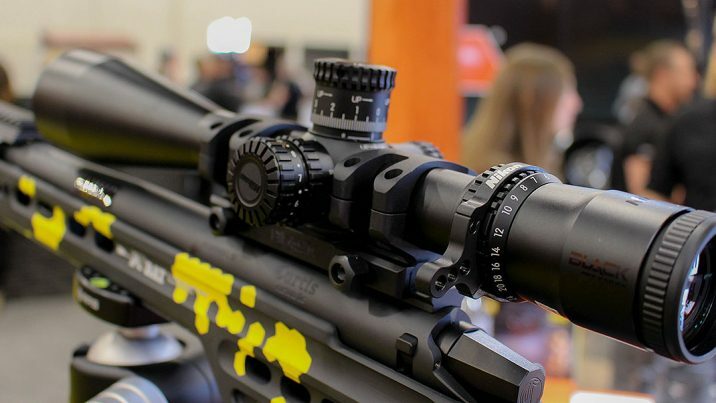 You will find high-quality optics here, unlike with other budget products, and they perform admirably. As the name suggests, this is a 4×50 pair of binoculars, meaning it comes with a 4 times magnification. With budget night vision gear, a high magnification can make things worse instead of better, so it’s nice that we only have 4x. The 50mm objective lens lets in plenty of light, so you can be sure that you’ll get a nice image. Aside from the optical magnification, we also get a 1-5x digital zoom, to get even closer. However, this will result in significant image quality loss, so use it only when you really have to, and when you have plenty of light at your disposal. To make things a bit brighter, there is an 850 nm infrared illuminator. The manufacturer claims this gives you a range of about 323 yards, but do take this with a grain of salt, as it’s a Gen 1 device. That IR illuminator can be switched off if you want to use the binoculars during the day, something we aren’t seeing with many budget devices. We mentioned that the binoculars focus on the feature set, so let’s talk extras for a moment. To begin with, there’s the option of recording videos and photos. The videos have a maximum resolution of 1280×720, and the ability to record sound. With the pictures, you can go up to 2592×1944 in terms of resolution. The quality isn’t stunning, but for a pair of binoculars, it’ll do when you want to review or share your hunting experience. This camcorder function also lets you connect it to a TV, using the TV out, or a computer, with the USB port, and use it as a night time surveillance camera. The choice between taking timelapse photos, or shooting video is yours. Build quality is good, but nothing spectacular. 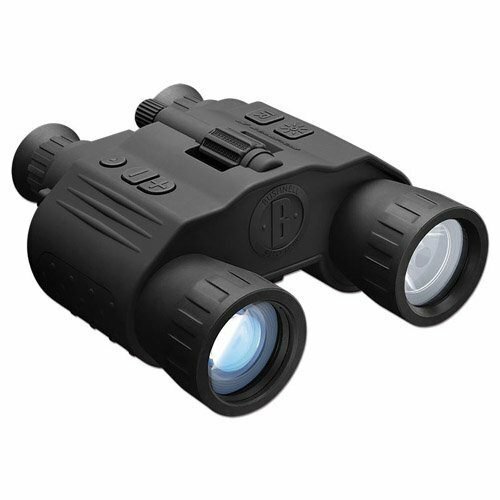 The night vision binoculars are made of plastic, with a rubberized layer for grip added on top. There’s some weather and water resistance, although we wouldn’t push it. There are a lot of damageable electronics inside, it’s better to be safe than sorry. The UBOWAY is far from a high-end pair of night vision binoculars, but it doesn’t try to be one. Instead, it focuses on putting as much functionality in a budget-oriented pair of binoculars as possible, for the easiest user experience. Therefore, if you’re someone who wants things to be easy, and you want plenty of features at your disposal, this is an excellent option. Now that you’ve seen the options above, you’ll want to know how to choose one of them. Sure, there are plenty of confusing factors. However, there are a few basic things that you need to know if you want to make the right choice. If you keep them in mind, making a mistake can be difficult. We’ll start things off with the basics – how night vision works, and how to distinguish the generations, before moving on to magnification, build quality and extra features. Night vision is based around an image intensifier tube (IIT). That is actually a vacuum-sealed tube, and it has various components that give the scopes, goggles, and binoculars their night vision capabilities. A complete tube has a phosphor screen, microchannel plate, and photocathode. Before we get into the details, we must mention that glass mustn’t be neglected. Thermal scopes don’t depend on light transmission, nor on quality glass, but night vision devices do. Therefore, a good image intensifier tube can be easily ruined by lousy optics, and good optics mean nothing with a bad image intensifier tube. With night vision, there is an easy way to differentiate quality, and that’s generations. The generations are differentiated by the components in a tube,or lack thereof. A higher generation night vision device has more of these components, and gives you better image quality. They also come with better glass and additional coatings, but more on that later. Let’s take a look at the generations now. Even though it’s the cheapest, most basic night vision generation, Gen 1 actually has a lot to offer, especially if you’re only getting your first night vision binoculars. If you’re on a very tight budget, Gen 1 is usually what you’re left with. So, what does it offer? To begin with, you should know that Gen 1 technology dates from back in the 60s. Typically, such a device lacks a micro-channel plate. Therefore, you won’t get a high-resolution image, instead ,you’ll get quite a lot of noise and grain in your image. Most of these devices also suffer from fish-eye lens effects, as well as blooming, which is image distortion caused by excessive light. They aren’t meant to last too much, as their life expectancy is around 1,500 operational hours. You might see large range promises, but in reality, they’re only useful in the first 75 to 100 yards of their promised range. Since this is the most basic generation, it requires a built-in infrared illuminator. That illuminator can’t be turned off, and it makes you highly visible to other night vision users in the vicinity. To be quite honest, if you’re looking for a basic pair of night vision binoculars that will help you keep your backyard clean, Generation 1 is completely sufficient. However, if you’re into serious hunting, it would be a good idea to check out Generation 2. Generation 2 sees the addition of a micro-channel plate. This gives you a higher image resolution, and there’s also accelerated electron gain. When combined, these two will give you better than average quality, and image distortion is minimized as well. The life expectancy of a Gen 2 device is between 2,500 and 5,000 hours. You also get much more range, as they’re useful at ranges of up to 200 yards. Both the life expectancy and the range are much better than Gen 1, making this a worthy long-term investment for anyone. There is also the possibility of using your night vision binoculars passively, without needing an IR illuminator, provided there’s a minimal amount of light available. If you do need the illuminator, chances are there will be a switch to turn it off when not in use. When put on a quality scale, Gen 2 is much closer to Gen 3 than it is to Gen 1. However, the jump in price is also very apparent, as that quality costs quite a bit. You will also find that clarity and performance also get a bit of a boost. Just like you can get a base model car, or a fully-loaded one, Gen 2 devices come in a few flavors too. Gen 2+ and Gen 2ST (where ST stands for Standard Tube) are what would be the base model. Then you have Gen 2CGT (Custom Grade Tubes) and Gen 2MS (Mil-Spec Grade), which both have better performance and quality. The price bump from the base models isn’t that high, though. The high-end of the range, you have Gen 2HPT (High Performance Tubes) and Gen 2HP (High Performance). These are the absolute top of the range Gen 2 devices, and will give you a huge quality boost. A thing to note, though, is that prices for these devices are often comparable to Gen 3 devices. You’ll want to compare model to model, as it is often a better idea to get an actual Gen 3 device, and get some extra battery life as well. Gen 3 is, at the moment, the highest end night vision technology available. Yes, you’ll come across Gen 4 as well, but we’ll clear that up in a minute. Just like with Gen 2, there are a few levels of quality, but whichever you go for, you can’t go wrong. Inside a Gen 3 device are premium components that give you a lot of benefits. For example, there’s an ion barrier film that improves the tube’s durability. You can use a pair of Gen 3 night vision binoculars during the day as well, and that won’t damage the tube. Their low light performance is incredible, and they seldom require an IR illuminator. This means you can remain covert while using them. Their life expectancy is often longer than 10,000 hours, making them excellent for people who would use them daily, for years to come. Their range is also excellent, often exceeding the 300 yards mark, but that depends on the specific model. With Gen 3, you get four levels of quality. The cheapest one is just Gen 3, but you still get a high-quality device that will last a good while. Gen 3ST (Standard Tube) is very similar to the basic ones, but they often upgrade tube quality, and you get less image noise and blemishes, making the image a bit better. Next, we have Gen 3A, which is a higher-grade, and gives you a noticeable bump in clarity, resolution and performance. Some devices also come with a tube data record sheet. At the absolute highest end, we have Gen 3AG (auto-gated) and Gen 3P (pinnacle). These are the best of the best, and they offer supreme performance. Both “auto-gating” and “pinnacle” give you the same technology, and they’re often used interchangeably, or you’ll find a brand using one term over the other. We mentioned you’ll come across Generation 4 every once in a while, but you should know that it’s often just a marketing term. There was a Gen 4 introduced to the US army, and it removed the ion barrier film we discussed with Gen 3. However, that made the tubes too fragile, and compromised their integrity. Therefore, the army found this tech doesn’t meet their standards, and it is now redacted. You will find those Gen 4 devices as unfilmed, or filmless as well. Removing the ion barrier, as well as adding auto-gating technology gives you image quality like you’ve never seen before. You can expect minimal halo from light sources, as well as little or no noise in the images if you get such a device, but as we mentioned, the tubes are fragile. Another fairly new change is White Phosphor Technology. Common night vision devices have a strong green tint to them, but with WPT, you maintain the same image quality with a black and white image. Even though compatible with any generation class, you’ll seldom see it anywhere else but in upper level Generation 3 devices. Last but not least, we have CORE, or Ceramic Optical Ruggedized Engine. Armasight introduced CORE in 2012 by adding ceramic plates, instead of glass, in their Gen 1 tubes. You get a much better optical clarity, as well as improved durability, while keeping the price fairly low. We should also mention that you will find digital night vision devices on the market. 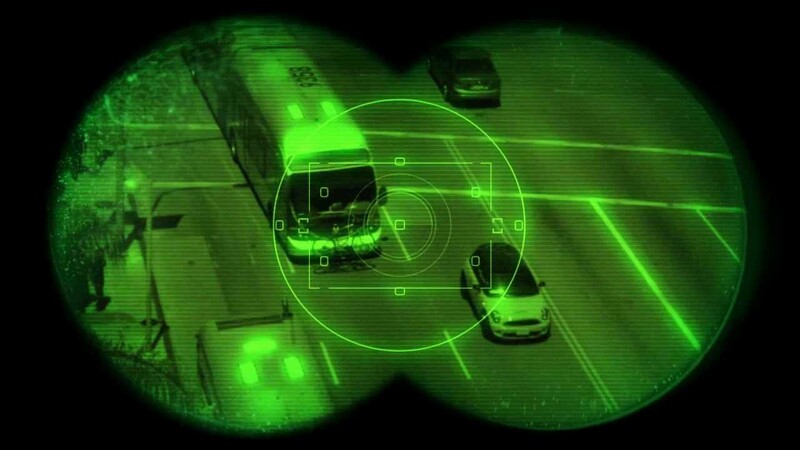 Digital technology is new to the field of night vision. The main difference is a different tube that’s made to be usable in any light conditions. There’s a chip inside the scope that will amplify the light that the IR illuminator emits. They are often fairly price friendly, even competing with Gen 1 devices. However, depending on what brand and what device you choose, their quality can get close to Gen 2, or even Gen 3 gear. Now that we’ve got the generations out of the way, you need a way of determining which generation you need to go for. In this case, higher almost always equals better, but do you really need it? A higher generation can be costly, and that won’t always be a smart investment. For example, if you’re only looking for a pair of night vision binoculars in order to monitor your backyard for varmints, a Gen 1 is absolutely sufficient. Gen 2 or Gen 3 will give you a clearer image, but an animal is easily distinguishable even with a Gen 1 pair of binoculars. The range limitations won’t be too bothersome either, unless you have a huge yard. If, however, you’re looking at the best night vision binoculars that you could use for hunting, things are a bit different. 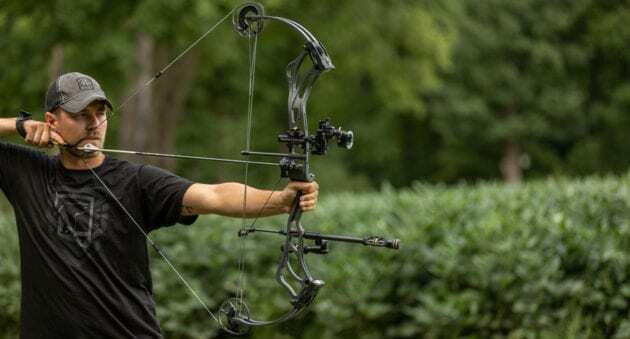 Sure, night time hunting is often done at shorter ranges than daytime hunting, but you’ll want all the image quality you can get in those situations. This is where your budget comes into play. If you can afford it, getting a higher generation pair of binoculars will give you a notable difference in quality. At the end of the day, be honest with yourself when you’re buying – judge your needs well, and set your expectations accordingly. In any case, be prepared to spend a bit of money on a good pair of night vision binoculars, they are always more expensive than regular ones. 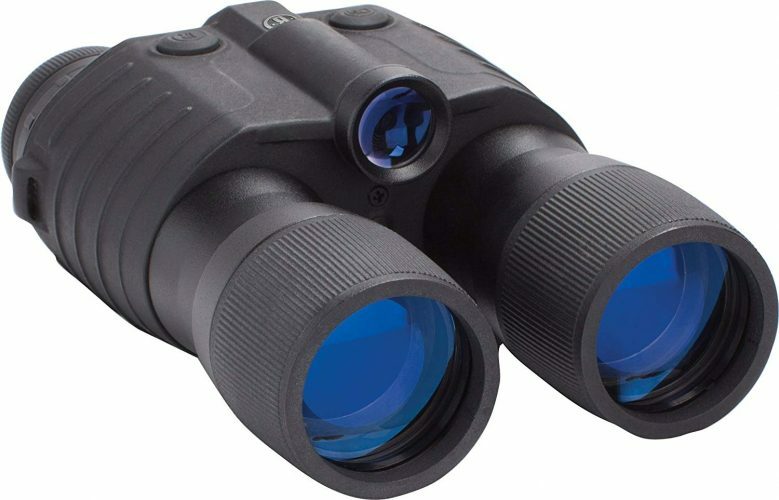 When you’re looking at night vision binoculars reviews, you will often find numbers such as 3×42, or 7×35. These numbers are a good indicator of how you can use the binoculars. The first number, 3 or 7 in the examples above, is the magnification factor. A 3x pair of binoculars will make everything you see seem 3 times closer. Even though those numbers can get quite big with daytime binoculars (10x or 12x), it’s different during the night. As we mentioned, night time activities are often done at shorter ranges, so a 2x or 3x pair of night vision binoculars is often sufficient. The second number, 42 or 35 in the examples above, is the objective lens diameter. A larger lens lets in more light, which is more helpful than ever with night vision. On the other hand, a larger lens also results in a heavier, more cumbersome pair of binoculars. Even the best night vision binoculars can get heavy if they have a big lens. With binoculars, it’s often a matter of compromise. You choose the magnification according to your needs, and get the largest lens you’re willing to carry, for best performance. However, with night vision binoculars, a 10x magnification factor is a waste if you get it in a Gen 1 device that can’t illuminate that far, so keep that in mind. You should also consider that it’s the magnification and lens diameter that, combined, dictate the field of view you’re getting. Should you worry about and lens coatings? Night vision binoculars depend on light. Therefore, everything that can give you an extra bit of light is a significant advantage. We mentioned that even if you do have a good image intensifier tube, you’ll want good optics to go with it if you’re after the best possible image quality. Now we’ll take a look at what “good optics” actually means. Even though manufacturers often opt for the highest quality glass they can put in their night vision binoculars, that’s far from the only factor. Something that matters much more with light transmission is actually the lens coatings. Without lens coatings, each lens can lose up to 5% of the light that passes through it. A poor optic, with the many glass elements, can lose as much as 35% of the light that would enter the objective. However, a good design loses less than 5%. With coatings, there are a few “levels”. The basic ones are just coated. A thin, anti-reflective layer, usually magnesium fluorite, is put on one, or more of the lens surfaces. Fully coated optics, on the other hand, have at least one layer on both sides of the objective lens system, as well as on both sides of the ocular lens system. Next in line are multi-coated optics, which tell us there are multiple layers of coatings on one, or more of the surfaces. Last but not least, the highest end ones are fully multi-coated. All lens surfaces have multiple coatings, which is a great indication that a lot of attention has gone into the design. Even though the design is completely dependent on the night vision binoculars’ manufacturer, there are always things that are worth paying a bit extra for. 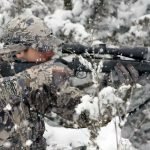 You’ll often get the best design from brands such as Bushnell or Sightmark, but that’s not to say there aren’t others that have some really good designs. To begin with, the ideal design should be waterproof. You have a lot of sensitive electronics inside your night vision binoculars, and you don’t want a splash of water destroying everything. It should be weatherproof as well, because cold weather can severely damage your lenses. Apart from that, a good design will be rugged. You want a non-slip, rubberized body, that won’t fall out of your hands easily. You should also look for some sort of shock absorption. You’ll be using them during the night, and chances are that you will hit them against a tree or two at some point, so the more protection the better. Last but not least, note the build of the central focusing knob. You’ll be using it a lot, so you want it to have just the right stiffness, yet be smooth enough so you can use it to make precise adjustments. At the end of the day, choosing the best night vision binoculars for your specific purpose can be a daunting task. Just reading night vision binoculars reviews sometimes won’t cut it, as they seldom explain what all the technical terms mean. They also don’t focus on what features are worth paying a bit more for either. If, however, you’ve read everything we spoke about above, you’re ready to buy your own pair of night vision binoculars. Whether you want something that is budget-oriented, such as a close-range Gen 1 device, or a high-end, Gen 3P device that you can use in just about all conditions, chances are you won’t make a mistake. All that’s left is to go through that list one more time, and make up your mind!